This dual purpose hop was developed at Wye University from a cross between a dwarf male and Whitbread Golding that was released in 1996. 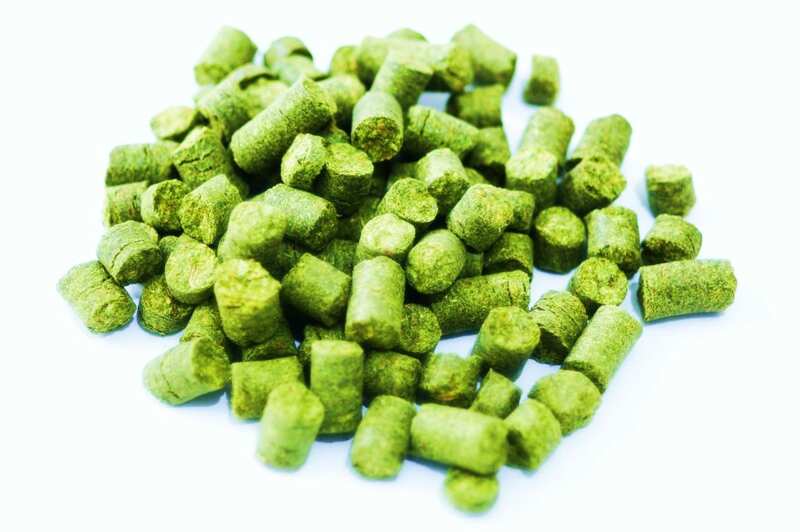 The balance of both bittering and aromatic characteristics make First Gold hops an excellent addition to IPAs, English Ales, Porters, and more. First Gold hops have an alpha acid range between 6.5% to 9%, and will provide a unique aroma of floral magnolia and orange citrus with a hint of spice. First Gold further proves its worth by working well in both the boiling and dry hopping stages of your brew. If you did need a substitution, try using Crystal or East Kent Goldings instead. Simi Valley Home Brew ships internationally, please inquire for a shipping quote!